Are you a Food Lion customer or do you have a Food Lion nearby or know of a friend who does? If so, you can get some awesome text message freebies! 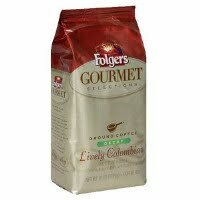 They will send a coupon for a FREE Folgers Gourmet selections coffee 11-12oz bag, up to a $5 value. They will send a coupon for a FREE 10-12oz bag of Nestle Morsels, up to a $2 value. They will send you a coupon for a FREE 7 Up 2 liter or Canada Dry 2 liter, up to a $1.59 value. You do not have to have a Food Lion MVP card to get these freebies. Also, these may be manufacturer coupons and not Food Lion coupons. I’m just not sure at this point. You’ll receive a FREE recipe book filled with great holiday recipes from Making Life Better.